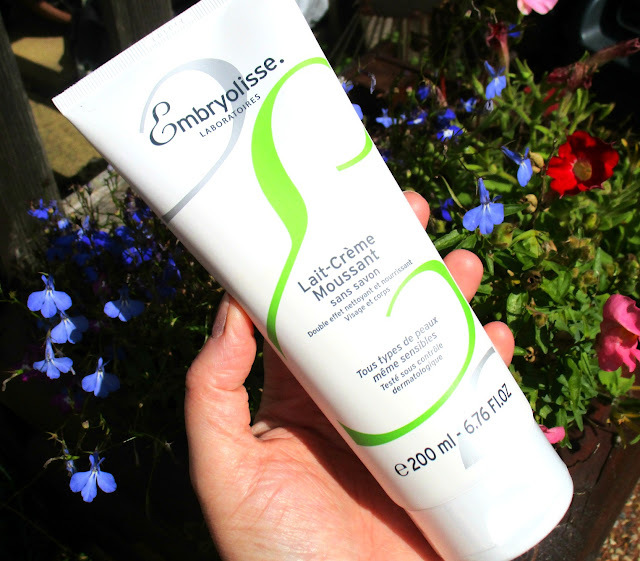 I recently ran out of my trusty and well loved Liz Earle Cleanse and Polish and instead of running out and repurchasing that for the millionth time, I thought I'd try something new that had been sat in my draw for a while waiting for it's time to shine - the Embryolisse Lait Crème Moussant Foaming Cream-Milk Cleanser. 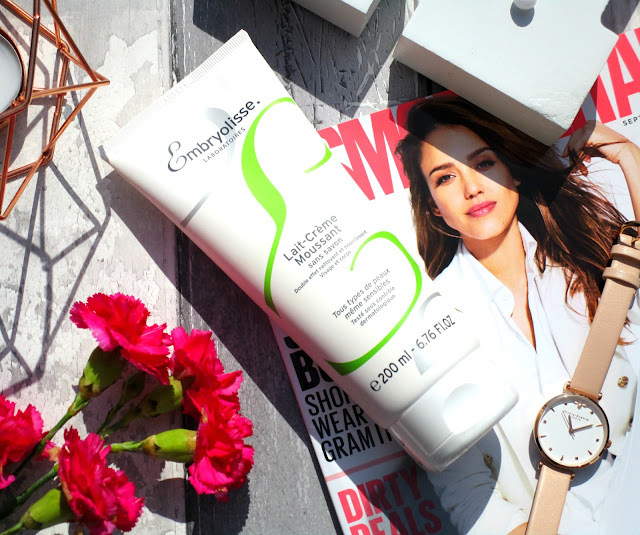 The Embryolisse Foaming Cream-Milk* is a soap-free cleanser based on super fatty agents (10%), sweet almond oil and shea butter, it's suitable for all skin types even the most sensitive, and versatile enough to be used on the face and the body too. To use the cleanser all you have to do I'm simple massage it over a damp skin and let it do it's thing, it's great at deeply cleaning the skin and removing makeup however I wouldn't recommend it for removing eye makeup, I got a slight shock when I slathered it over my eyes and it stung instantly so now I use a micellar water first around my eyes. 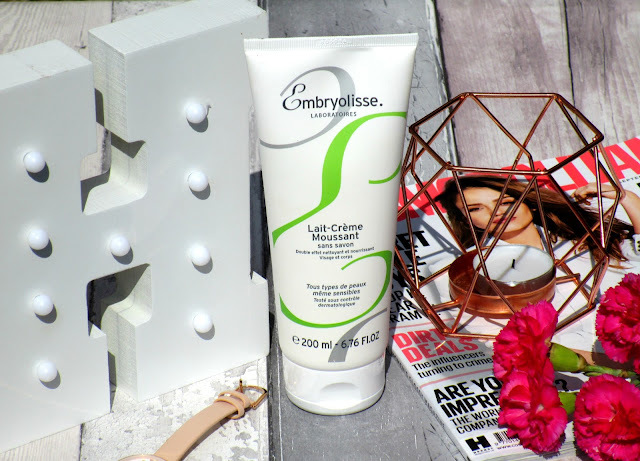 The Embryolisse Foaming Cream-Milk is quite different to anything I've used to cleanse with before, I've literally never found a cleanser with such a gorgeous texture before, it feels so rich, creamy, slightly whipped and nourishing when it first goes on, its gorgeous and just glides over the skin with ease and has the most amazing light yet fresh scent to it. I was also super impressed by the fact that it didn't leave my skin feeling dry afterwards which many cleansers I've tried do, instead my skin felt squeaky clean, nourished, supple and SUPER soft! The only thing I did notice was the lack of foam, this is named and foaming cream-milk cleanser and I have to say it doesn't really lather up that much, it's not a major for me but definitely something to bare in mind if you are actually looking for a foaming cleanser! Overall I'm really enjoying using the Lait Crème Moussant Foaming Cream-Milk, it's definitely super nourishing and gentle which my dry sensitive skin loves, and I find it so quick and easy to use too. It cleanses my skin with ease and I've experienced no clogged pores or break outs, it doesn't strip my skin of its essential oils and leaves my face so soft and clean, I love it! You can find the Embryolisse Lait Crème Moussant Foaming Cream-Milk Cleanser for £14.00 from Boots HERE.